The Garden Route is known worldwide as one of the most beautiful coastal drives on the planet – so is high up on the South Africa bucket list. 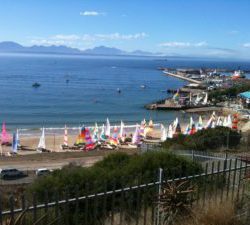 The route extends from Mossel Bay to Storms River, and connects Cape Town to Port Elizabeth. The Garden Route is one of the most popular self-drive holidays in South Africa with good reason – enjoy stunning scenery, amazing wildlife spotting opportunities and interesting places to stay along the way. But don’t worry – if you can’t drive or don’t want to hire a car, there are still plenty of tours and other activities to help you experience the best of the Garden Route. The Garden Route is a 200km stretch and there is so much to see and do as you travel from East to West or vice versa. The Garden Route National Park is a must see, along with the Knysna forests and lagoon. Sandy beaches, lakes and rivers await to be explored in the huge National Park. The Dias Museum Complex in Mossel Bay is also worth a visit, which features a life size replica of a 1488 Dutch ship. Whales and dolphins can be spotted along the Garden Route from July to November, and there are also a range of golf courses to choose from if you’re a fan of the sport. The seaside town of Knysna is a must see, renowned for its beautiful views at Knysna Heads and the turbulent waters of the lagoon. The famous lagoon opens between two sandstone cliffs and was once named the most dangerous harbour opening in the world by the British Royal Navy. George is the largest town along the Garden Route so it’s a great place to stop off. One of the best attractions is the Outeniqua Transport Museum and the Outeniqua Power Van. The museum features a range of locomotives and classic cars, and the motorised trolley van takes you up into the glorious mountains for a picnic with a view! As I’ve already mentioned, this is one of the best places in South Africa not just to experience a safari, but to encounter wild animals up close. Walk through a monkey-filled forest in Monkey Land, get up close to big cats at Jukani and visit an Elephant Sanctuary where you can walk alongside the friendly giants. High up in the Tsitsikamma Forest you can ride through a tree canopy and zip across waterfalls which is an experience you won’t forget. For fearless adrenaline seekers why not try out one of the deepest bungee jumps in the world off the Bloukrans River Bridge? We recommend doing the Garden Route during the summer months when South Africa’s weather is at its best. Temperatures are at their hottest between December and March, but these are also the busiest months so if you want to beat the crowds you may wish to visit off season. It’s a bit cooler in April, May and June but it’s still a great time to visit and enjoy the natural wonders of the Garden Route.